Personalized medicine companies seek to combat the scourge of cancer through personalized care, driving interest in patient-specific treatments that require testing. 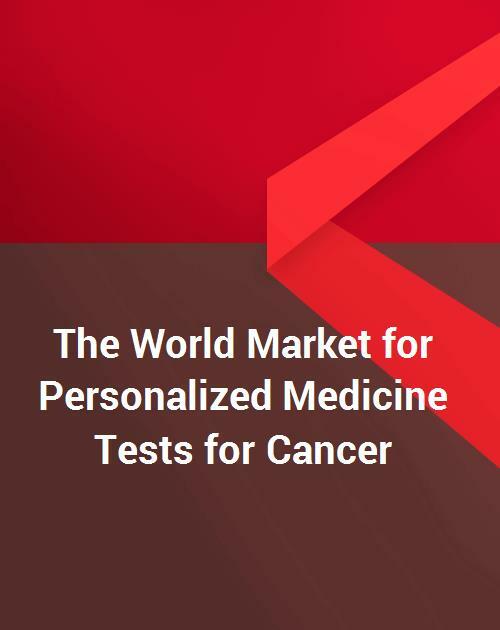 This report provides an assessment of the personalized medicine market, estimate and competitive analysis for tests for oncology that use biomarkers. This analysis includes a range of technologies made by scores of personalized medicine companies. These type of tests have demonstrated faster revenue growth than IVD broadly, and considerable interest from competitors. The term “companion diagnostics” is used broadly in this report to include “personalized medicine” connected to therapeutics, and includes a range of tests that provide information to aid physicians making a treatment decision. The report also includes information on current and emerging new personalized medicine tests in cancer, cardiovascular disease, neurological disorders, immunological disease, infectious diseases, and other diseases. These discussions include information about personalized medicine companies that are developing or marketing companion diagnostics and also other personalized medicine tests. The report discusses in vitro diagnostic companies that are developing or marketing kits to clinical laboratories, and also the many clinical laboratories that have developed laboratory developed tests (LDTs) and are offering test services to aid physicians as they diagnose and treat patients. The report also discusses personalized medicine companies providing services to, or entering into collaborative agreements with, pharmaceutical and diagnostic companies. Personalized medicine companies and organizations profiled in this report include both pharmaceutical and in vitro diagnostic companies that are active in the field of personalized medicine, as well as clinical laboratories that have developed their own personalized medicine assays.